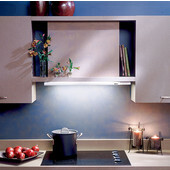 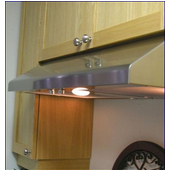 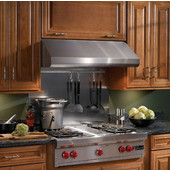 Under Cabinet Range Hoods provide a seamless look for kitchens that don't have a lot of space. 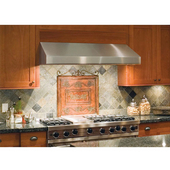 Choose from a variety of styles and sizes, including a modern design with an ultra-slim profile, or a more traditional design with a standard steel hood. 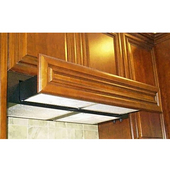 Under cabinet range hoods are made of cold rolled steel or stainless steel or wood and come in copper, brass, stainless steel and powder-coated finishes to coordinate with your kitchen décor. 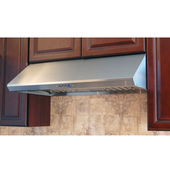 Under cabinet range hoods are available in sizes ranging from 30" to 48", with a CFM of 180 to 1500, so you're sure to find the range hood that fits the size of your kitchen and the dimensions of your stove or range. 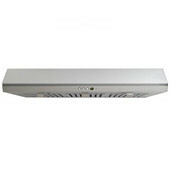 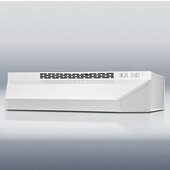 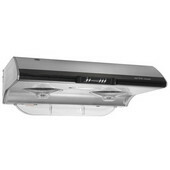 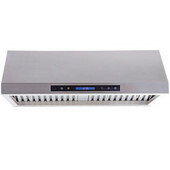 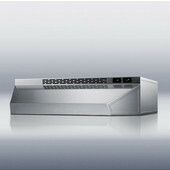 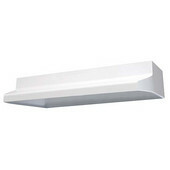 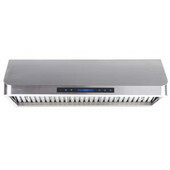 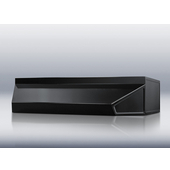 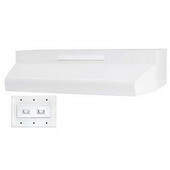 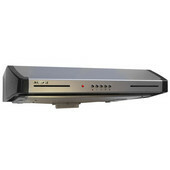 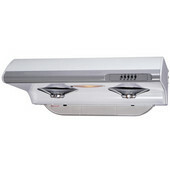 At KitchenSource.com, we have under cabinet range hoods from Air King, Broan, Fujioh, Imperial, Modern Aire and Sirius to suit your ventilation needs.